Find all your favourite freshly-baked savouries, handmade sandwiches, delicious sweet range, a hearty breakfast selection and a great range of snacks and drinks, hot and cold. As well as their more indulgent selection, they also offer a delicious range of Healthier Options products, designed with the health conscious in mind. 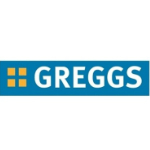 All instore at Greggs.